Distant Drums RV park might be the best kept park we visit. Year after year we come here and the staff is always the best. We had a St. Pat's dinner put on by the staff. Bagpipes and all . There is a lower lot that I have seen RVs parked in during the day only. We stayed two nights in the dirt lot across the street for oversized vehicles. There were a few rv's there. There were no problems. There is a RV park owned by the casino with full hook ups, but this was good enough for us. 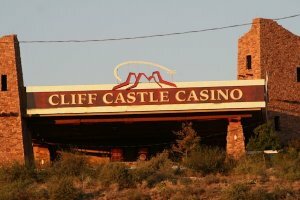 My wife and I have stayed at the Distant Drums RV park owned by Cliff Castle Casino. 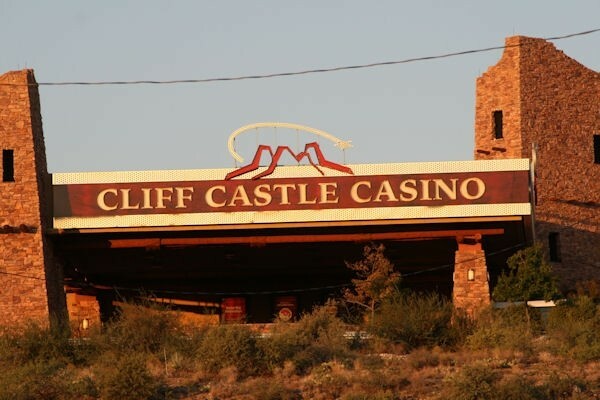 It is a great place to spend the Winter for snowbirds and it is also a great place to spend a few days gambling or see the many sites around the area, The camp ground gives numerous discounts and has varying rates based on the site you pick. The park can accommodate large motorhomes with their numerous slides. 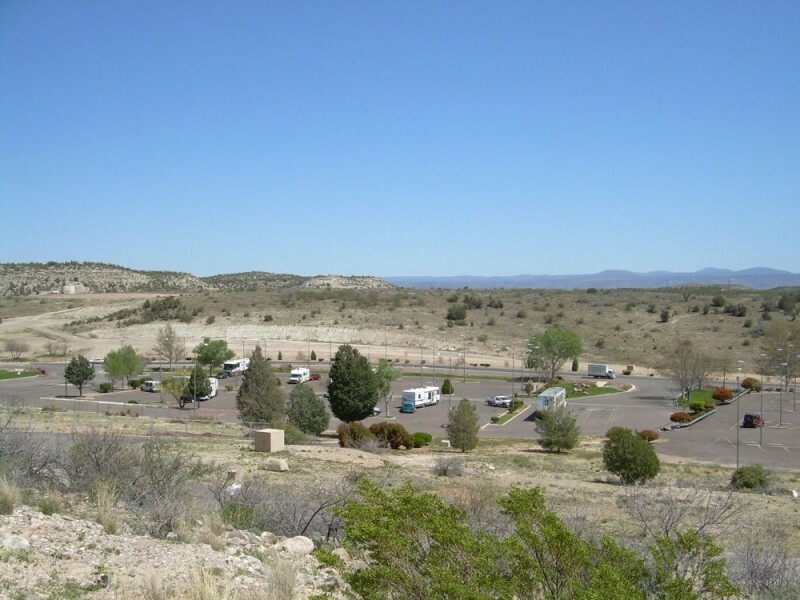 The park has a pool, whirlpool and the best shower and bathroom facilities I have ever seen in a RV park, each shower/BR is a private one which you get a key at the registration desk. It has full hookups, free WI-Fi, cable TV. I highly recommend this RV park and casino. The casino has an excellent steak house and an excellent restaurant along with a Johnny Rockets. The hotel also has an excellent restaurant, all are very reasonable. The Casino has been voted the best in Arizona for 11 years in a row. Have fun. Exit I-17 at exit 289, go east, through second roundabout, parking lot on right. Lot is semi level, walking distance to casino but it is a long walk up hill. Distant Drums RV park is across the freeway and I have no information about it. Food: Johnny Rocket Grill. Good food, fair price, great service. Kids entertainment: Bowling alley, video game room and kids play room, ala Chucky Cheese. Stayed one night in a 5th wheel. Would stay again. "Our RV Park, Distant Drums, is located just over the interstate from us, and we have a free 24-hour shuttle to the casino from the park." This appears to be a very "family friendly" location for casino camping. 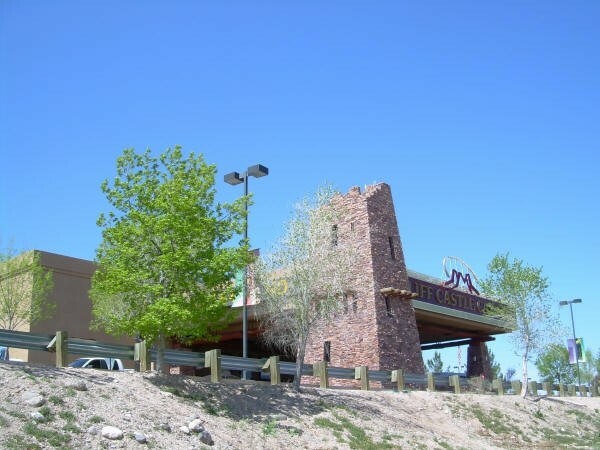 In reviewing this casino and RV park I noticed there are many nearby attractions; state and national parks, historic sites, etc. and the casino features a Kids Quest, a bowling alley and a large arcade.